Last March, Staff Sergeant Robert Bales slinked out of his remote outpost in southern Afghanistan before dawn. By the time he returned, around four hours later, he had allegedly killed 16 unarmed civilians. Federal officials have since confirmed that Bales was under the influence of stanozolol, an anabolic steroid with side effects that can include mood swings, aggression, and delusions, prompting Army prosecutors to add one count of illegal steroid use to his charge sheet. 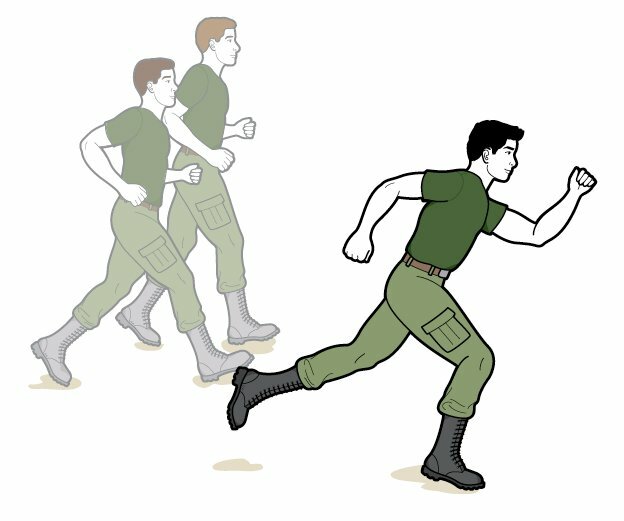 Of course, what Bales did is a tragic anomaly, but his case is bound to direct attention to an undeniable aspect of military life: Soldiers ingest a ton of performance enhancers to stay sharp, and we’re only beginning to understand the effects. 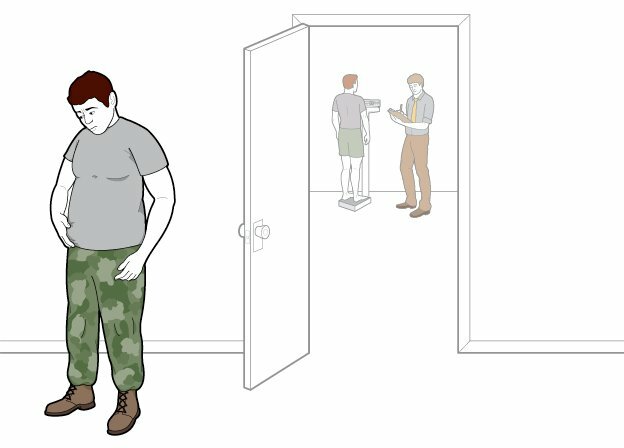 Here, an overview of the pills and elixirs that get passed around by the 1.5 million people in the military. 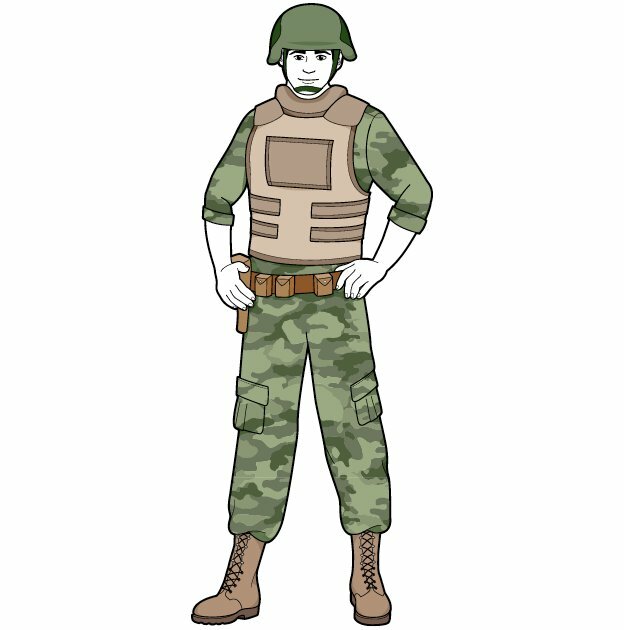 Bales is far from the only soldier to use steroids, the possession of which without a doctor’s prescription counts as a violation of the Uniform Code of Justice. An estimated 1.9 percent of military personnel illegally use steroids, according to 2008 Pentagon data, up from 0.9 percent in 2002. Soldiers typically take the drugs, including mainstays stanozolol and oxymetholone (both banned by most major league sports due to their dramatic impact on strength), to enhance physical abilities during combat. The drugs are sometimes smuggled to soldiers via mail-order packages that conceal the products, or else are sold to them by American contractors working on base. Despite being banned by the military, officials do little to thwart the use of steroids, largely because of cost concerns: Screenings run hundreds of dollars apiece. The most popular brew among soldiers is arguably 5-Hour Energy; in 2011, sales of the energy shot reached $9.2 million in the military (almost 1 percent of the company’s total annual sales). But officials are increasingly concerned that energy drinks, some of which contain as much caffeine as three cups of coffee, might actually be impairing personnel performance. 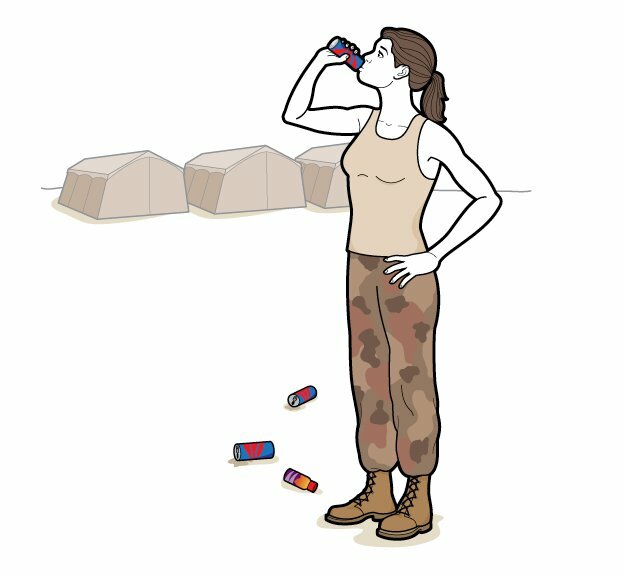 According to an Army study, soldiers who drink at least three energy drinks a day tend to sleep fewer than four hours a night, suffer from insomnia, and even doze off during briefings or while on duty. For decades, the Air Force has been doling out amphetamines—dubbed “go pills”—meant to keep pilots awake and alert during longflights. 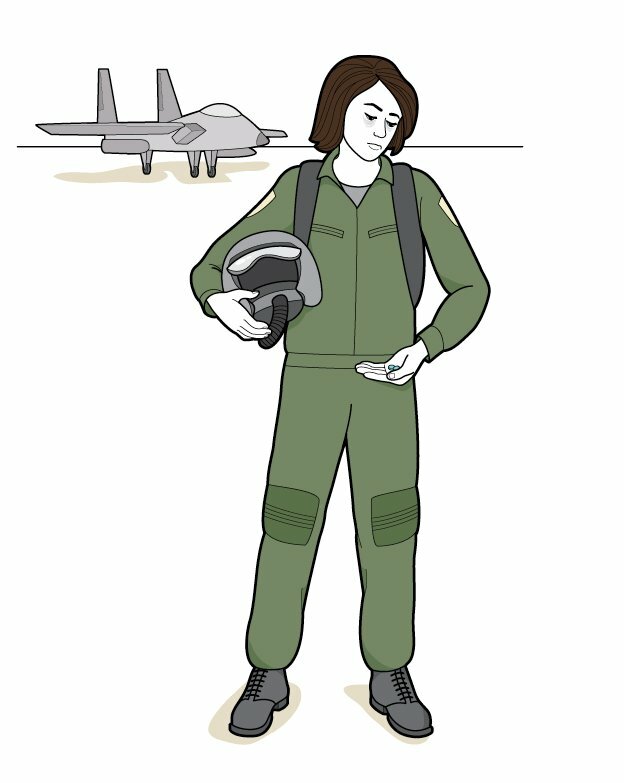 Of course, the military sanction of these supplements (the Air Force relies specifically on Dexedrine, used among civilians to treat adhd and narcolepsy) isn’t without controversy: In 2002, two Air National Guard pilots taking Dexedrine inadvertently bombed and killed four Canadian soldiers, leading to speculation that the drug had impaired their judgment. 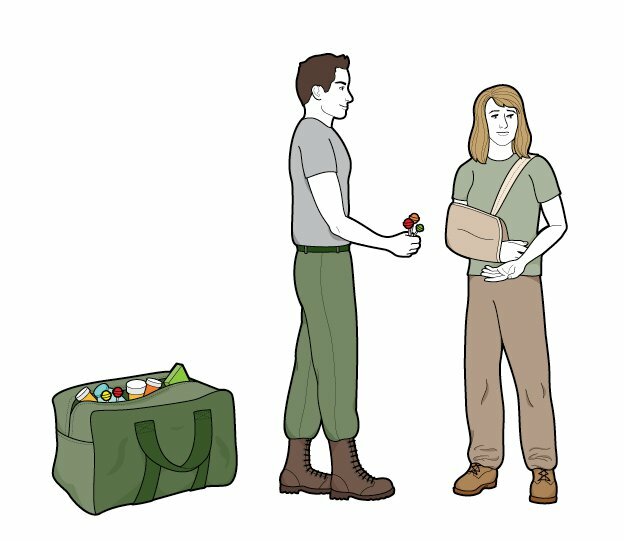 When a soldier in combat gets injured, removing him from the war zone is far from the military’s first choice. 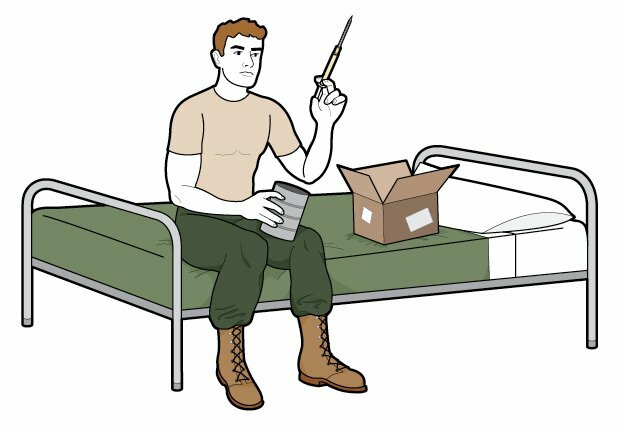 Instead, combat medics often prescribe narcotic painkillers, including oxycontin, vicodin, and morphine, sometimes in 180-day supplies meant to keep soldiers on their feet through lengthy deployments. In 2009, military doctors wrote 3.8 million prescriptions for painkillers—a fourfold increase from 2001. The military’s zealous embrace of painkillers (they even distribute lollipops with a drug stronger than morphine) is accompanied by a devastating downside: Addiction and medication swapping among soldiers is too common, with an estimated 11 percent of active-duty soldiers in 2008 misusing prescription drugs, mostly painkillers, according to a recent Institute of Medicine report.